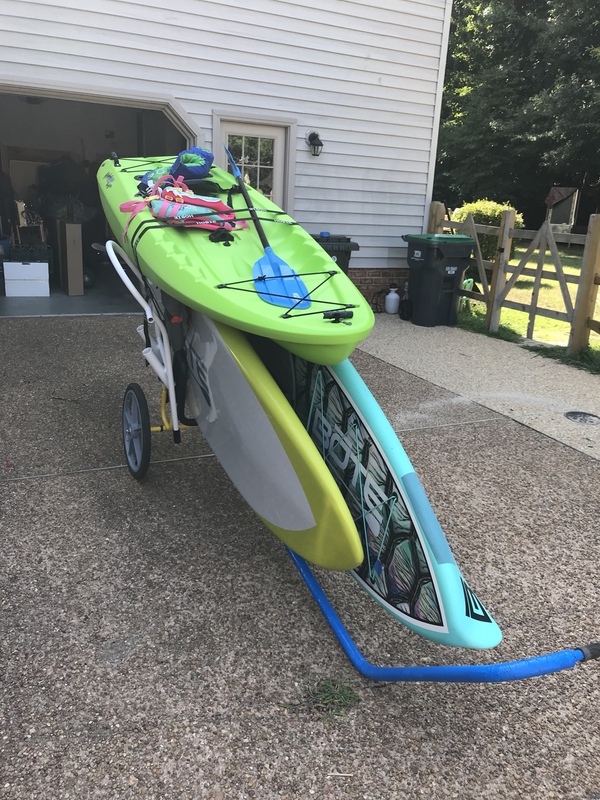 Hobie Forums • View topic - Why are the Eclipse Boards SO heavy?? Why are the Eclipse Boards SO heavy?? Post subject: Why are the Eclipse Boards SO heavy?? Not trying to be a pain, or start a controversy, but why are the Eclipse boards so darn heavy compared to other SUPs? I suspect many will jump to say that these are not SUPs, they're a bit more stable, all the extra versatility, yada yada. Yes, I understand that all, but do they have to be nearly DOUBLE the weight of comparable SUPs (...and that is just for the board alone without the handlebars and drive)?? I mean, seriously, surely Hobie could've designed a lighter plank to attach their hardware to... or just fitted it all to one of the many fine strong lightweight boards out there already. The idea of a mirage driven SUP is great, but this extreme weight almost kinda makes it a deal breaker. I have an older Adventure Island Sailboat, and the center hull weight of that is not much heavier than the Eclipse for goodness sake. Post subject: Re: Why are the Eclipse Boards SO heavy?? Large, thick... drive well, handlebar, rudder structures... pedals. These are large boards with lots of added features beyond a SUP. I have both the 12 ft eclipse and a 12ft Bote paddle board and my eclipse is about 10 lbs heavier board for board. 1 lb or so are the pedals and you probably add 10lbs for the handles/drive. The eclipse is also a few inches wider. All and all I don’t think it’s that heavy. Pricey... yeah but all very well engineered. The only real gripe I have is the finish. It is impossible to keep nice. I have given up on babying it. We use it and if it gets a big gouge I’ll just patch it and move on. Yes, but just to be clear, I was not talking about the massive "fully rigged" weight of 59 pounds, but rather just the "fitted hull weight" of the board itself, which is still a whopping 48 pounds. Compare that to the typical 27 pound paddle board, and it seems there is a lot of room to save weight on these eclipse boards while still keeping them as strong as they need to be to handle the extra forces generated by the mirage drive. Just saying. Thicker and heavier glass layups to supports the drive, handlebars and rudder. Likely a denser heavier foam core as well. Really not trying to pick a fight, more so understand. All 12 boards that I have seen come in mid to high 30s. My 11ft Fisher inflatable says its 29 lbs. Now I bet there are fast race boards that might be lighter but for general recreation I have not see ultra light 12ft boards. Which boards are you looking at? Do they match on capacity? Side note whichever way you go get the surfstow board cart and mod it with bigger wheels and a handle. I love it!